Dorote Lucci, Bay Area Liaison: Dorote Lucci facilitates her clients’ reconnection to their own source of well being and power-be that physical, mental or spiritual. She uses meditation, stress reduction techniques and innovative approaches for centering quickly, effectively and with lasting results. Having noticed a need in the market for gentle and playful tools to achieve peace of mind she co founded Embodied Inc. The first app for reprogramming habit patterns called Worry Bubble (Apple app store) was born in 2014. With FLOW she continued to create apps and games that bring us into the present moment and enable us to take the first steps towards stress reduction and meditation. In 2015 she co created the Corereboot initiative that brings all the areas together that she is enthusiastic about. Innovative tech, healing therapies and a neuroaesthetic approach to delivering information. Her background includes a Master in International Management, business experience and marketing strategy as well as complementary medicine practices, spiritual practices and psychology. She loves the connection between neuroplasticity, human behavior and the possibilities available for us to change our patterning and habits through somatic and visual experiences. She is fluent in English, German, French and Spanish. Loves poetry, art and blogs for the Huffington Post. Brandon Chien, Bay Area Liaison: Brandon is dedicated to assisting people making extraordinary life changes and seeking self-knowledge. He started his own journey as an underweight stress-junkie who smoked heavily and had never exercised. Embracing many lessons from the Universe over the years he has transformed into a Strength and Mindfulness Coach. He is passionate about the sport of Olympic weightlifting and all things related to the human body. Based in Northern California, he coaches Olympic weightlifting and trains both individuals and small-groups at Marvelous CrossFit in Burlingame, CrossFit Old County in Belmont, and SBM Fitness in Menlo Park. He studied Philosophy at UC Riverside and has certifications through the following fitness entities: NSCA-CSCS, USA Weightlifting, FMS-1, Precision Nutrition, Trigger Point Performance, and can work with Pre/Post-Natal women. Bryan E. Glover, New York/Washington, DC Liaison: Is a leadership coach and life coach. He has served in a variety of capacities and professional environments, including work in both the private and government sector, as well as 20 years of non-profit management and administrative experience. He has also been involved in community organizing, and has supported the arts and emerging artists for well over two decades. 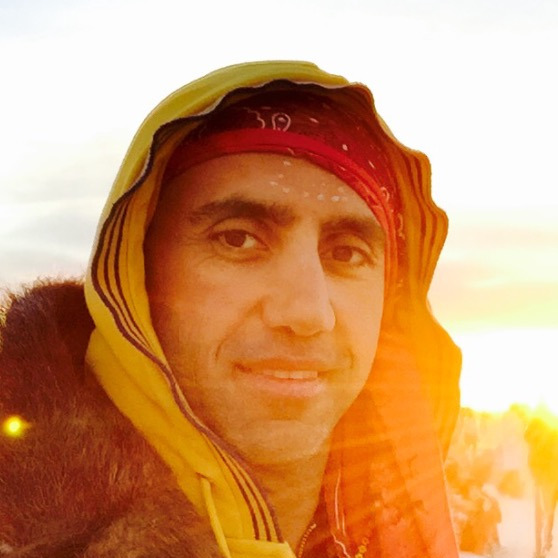 Concurrently, over the years he actively pursued his own spiritual growth, a journey involving experiences as varied as human potential trainings, shamanism, and travel to West Africa to study indigenous spiritual practices. This mix of experiences and thought combined to shape his own understanding, philosophy, and beliefs, influencing how he began to view and interact with his communities of involvement. Time and again he observed how some of the most difficult challenges emerged, with both individuals and organizations, when people moved away from joy and neglected their passions. Eventually, he realized his true calling to serve as a coach, supporting others to move towards Joy, Passion and Possibilities. As a leadership coach, he relies on personal experience and understanding to support clients in increasing their effectiveness and results in working with groups and organizations, through navigating pathways to clarity, transparency, and joy. His breadth of experience and community engagement offers a unique perspective on the challenges of organizational leadership and workplace dynamics. As life a coach, Bryan supports people in living passionately and joyously, manifesting the lives they desire. Rodolfo Carrillo, Costa Rica Liaison: has had his own consulting practice since 2005, first as a Family Business Consultant and for the past three years developing Conscious Organizations. He’s also acted as a life and business coach for many all over the world. As a business graduate with an MBA in family business and entrepreneurship, he has been involved in various corporate as personal business startups. He has looked to combine his professional work with nonprofit organizations so, he founded and still leads the Positive World Foundation in Costa Rica which focuses on working with young people in communities at risk to help them develop their full potential through workshops and activities. He also started the Costa Rican Family Business Chamber of which he was president for 5 years, until he voluntarily left the position to allow others to direct the organization. His spiritual path started very early in his life, when he learned to meditate at the age of seven. This path has taken him to very profound personal work through traditional psychology as well as different philosophies like Buddhism, Catholicism, Hinduism, and Indigenous wisdom teachings. His practice has taken him to sacred sites all over the world. Rodolfo brings a very interesting and unique combination of business experience, personal work and spiritual knowledge that triggers profound transformation. Merel Geanna de Boer, Bay Area Liaison: My name is Merel and I’m thrilled to help the Wisdompreneurs community thrive here in San Francisco! Working as a solo-entrepreneur I know how important community is: to share ideas, to feel connected in an authentic, mind-opening and heart-widening way. I’m born in the Netherland, studied and worked in Amsterdam, lived in the South of France and enjoy living in San Francisco now for more than 3 years. In my work I help companies create a positive company- and team culture, focused on strengths and appreciation. I believe that organizations are our new tribes, and that it is important to cultivate company cultures where people feel supported and inspired. Really, we can change a lot by changing how we relate to each other. Relationships between people and the teams they form intrigue me: why do people do what they do in relationships? And how can we help them make those relationships grow and blossom? Being in touch with different backgrounds and cultures, see the power of diversity and being surrounded by open-minded people is why I love my work and is also the reason I feel very connected to Wisdompreneurs. Bringing this to the world is what sparks my enthusiasm being a Wisdompreneur Liaison in San Francisco! Next to loving my work, I’m dedicated to my meditation and mindfulness practice. I keep myself happy and healthy doing yoga and hiking in the beautiful Bay Area nature. I’m looking forward to meet you all! CJ Callen, Liaison Bay Area: CJ Callen is an entrepreneur who is placing consciousness at the center of her three enterprises: 1. A Beautiful Mind Consulting, a practice focused on unleashing the best in philanthropic leadership and helping to transform philanthropic practice from one that is transactional to one that is truly transformational; 2. Wine & Soul, a blog with a focus on gathering a tribe who care about mindfulness in the food and wine industry; and 3. to-be-named effort centered on creating a community gathering place to feature people of color speakers from the wisdom world. Past professional roles placed her at the center of helping philanthropic professionals connect “soul to role,” creating spaces for personal inquiry and transformation. She has been an advocate and social justice pioneer with a heart, placing consciousness and mindfulness at the center of what it means to create meaningful and sustainable change. CJ received her JD from Stanford University and her BA in political science and philosophy with honors from New York University. She was born and raised in Brooklyn, New York but is a long-time and proud Californian. She resides in San Francisco with her husband Jeff, the ethnomusicologist; Cleo, the dog; and Roxie, the cat. Ask her about wine and what it has to do with community. Willo O'Brien, Hong Kong Liaison: Willo O’Brien is a sought-after business coach, consultant and international speaker who empowers visionary entrepreneurs to birth their big ideas into the world. Willo shares her special mix of emotional and strategic support, cultivating clarity, courage and compassion, through her multiple e-courses and trainings, retreats, workshops and large-scale events. She has worked with thousands of ambitious, purpose-driven individuals around the globe, helping them to thrive and feel alive in all areas of life. An internet veteran and serial entrepreneur, Willo's founded several creative businesses. She's served as co-founder of two Bay Area tech startups and has successfully co-created several epic gatherings, including the annual 400+ person Yes And Yes Yes (YxYY) event that inspires human connection and celebrates the endless possibilities available to us when we say YES. Yazn Rah, Sedona Liaison: Yazn is a spiritual teacher and shaman who studied under many masters and received powerful teachings from teachers of many traditions including Shaolin and Taoist masters, South American tribal shamans, and the third man in Buddhism after the Dalai Lama, his holiness the 12th Kenting Tai Situpa. In his "old life" he has a 15 year career in senior management in a number of industries including technology, real estate, and publishing. His last corporate role was business manager for Rosetta Stone in the Middle East and North Africa. Laurie Seymour, M.A., Denver Liaison: Provocative speaker, author and Master Facilitator, Laurie Seymour, M.A., knows that life’s deepest answers shine through when you get quiet and connect with your inner resources. She has spent decades studying and working with energy systems dedicated to inner focus and self-mastery. Her research proved that unlocking your potential was more powerful than believing you needed fixing. So what did she do? She left her career as a psychotherapist to found The Baca Journey (TheBacaJourney.com), inspiring and igniting people to claim the resonance of their own wisdom. Once Laurie’s students begin to trust their inner voice, they have the foundation for everything they dream about creating in the world. They shine from the inside-out, taking confidence-fueled actions. Laurie illuminates as mentor, speaker and through her Prospecting Your Inner Jewel online program where she teaches people how to create a lasting relationship with their inner guidance system. She facilitates connected community through her weekly video Live Meditation Plus online sessions, bringing together people from around the world to receive the gifts of meditation. Laurie was initiated in 1997 as one of the two Turaya Grand Masters and teaches Turaya Touch and Turaya Meditation around the world. She writes for The Huffington Post and The Magic Happens and is a contributing author in the Amazon #1 best-seller, The Wisdom of Midlife Women 2 and the best-selling 365 Ways to Connect with Your Soul. Nicola Amadora PhD., Bay Area Liaison: is a Leadership and Relationship Educator, Psychologist, Consultant, Speaker and Mindfulness Teacher. For 30 years she has worked internationally with organizations, communities, families, couples and individuals. She has extensive experience in facilitating diverse cross-cultural, multi-generational groups, and has led a non-profit organization and holistic educational center. Nicola developed a successful women’s leadership training program and also mentors young women leaders. In her private practice she supports and empowers people in their unique journey of healing and awakening. Presently she is the co-founder and CEO of the Wisdom Leadership Institute. In all her work, Dr. Amadora offers a rich banquet of life experience, high-level professional expertise and a deep well of wisdom to contribute to positive personal, organizational and global transformation. Liz Zirk, Portland Liaison wants people the world over to be leaders from their hearts. She's learned in her life that leadership and love go hand in hand. At every seemingly hard decision - from breakups to quitting her corporate job to moving around the world - Liz has discovered the wisdom in her heart and followed it. Now, as a Certified Professional Co-Active Coach, she works with folks who want to do the same. Her favorite part of her work is seeing that strategies and plans are as unique as the person creating them! Now that's leadership from the heart! She is based in Portland, but grew up in the San Francisco Bay Area. She's also traveled/lived as a nomad: the UK, Norway, Germany, Thailand, Wisconsin, Seattle, and beyond. Susanna Maida, Ph.D, New Mexico Liaison: is a wild woman alchemist who surprised herself and everyone who knew her by falling in love with the entrepreneurial spirit. She’s passionate about giving evolutionary women who care deeply about the fate of our world, the soul-satisfying sense of alignment that comes from growing thriving, world-changing businesses doing their great work. As the old economy continues to unravel, tremendous opportunity exists for women to lead from the sacred feminine and help reweave our world by getting paid well to share their transformative gift. Called “a gift from the goddess” by some of her clients, Susanna is known for blending conscious proven business practices, an orientation to inner transformation that honors the sacred in everything, and a strong focus on cultivating “right relationships” with the complex interweaving threads of work and life. Weaving these together, she shows women entrepreneurs in the business of transformation how to generate a generous income while serving more people in less time, all with greater feminine ease and grace. Motivated women touched by Susanna’s gifts have gone from their business being just a twinkle in their eye to working with their first high-end clients in a mere few months. From there, they learn how to flourish wildly while making their greatest contribution to a world in need. Unafraid to go for what she really wants, Susanna took one look at where the path of her first “proper” career as a groundwater hydrologist was taking her and decided it would squeeze the life out of her. So she ditched that profession and followed her passion for nature and the river. She then spent ten amazing years leading whitewater rafting trips and teaching whitewater schools. One day, while sitting in the back of her raft as it lazily floated between two big rapids, she realized she could never again stuff herself into any sort of “normal” job. Ever since, she’s been using her creative maverick energy to help visionary women get to the truth of why they’re here and create a lucrative business for bringing that out into the world. Jean Pierre Candiotti, Sweden Liaison: Jean Pierre Candiotti is a sustainability practitioner and serial entrepreneur based in Sweden. He is principal at JP Candiotti Sustainability Management a managing and co-founding firm that works with advancing societies and organization into a sustainable state. Jean Pierre hosts training workshops on Sustainability Strategic Management in Jonkoping International Business School (JIBS). Recently he has launched an initiative to co-create solutions to sustainability challenges in cooperation with JIBS Alumni and other actors of the innovation system in Sweden. Jean Pierre holds a MBA in Strategic Entrepreneurship and soon a master in Science in Strategic Leadership towards Sustainability from the renowned sustainability program MSLS from BTH, Sweden. Rubina Cohen, New Mexico Liaison: is a marketing strategist, coach and consultant with more than 14 years’ experience working with clients in the design, wellness and environmental fields. As founder and principal of Firefly Strategies, a boutique marketing strategy and support firm, Rubina develops and implements annual marketing plans, directs branding and website design, and teaches social media workshops. Rubina believes in simple, authentic, results-oriented marketing for the New Economy, based on the four Cs: connection, collaboration, creativity, consistency. A serial entrepreneur, Rubina also helps women launch careers, and moms start businesses, through her website RubinaCohen.com—and as the creator of the online course DevelopCreativity.com, she works with anyone interested in awakening and reclaiming their own creative capacity. Rubina earned her Bachelor of Science degree in Communications Research from the acclaimed Institute for Communications Research at the University of Illinois Urbana-Champaign, where she studied how consumers and constituents make purchasing and political decisions. Her most important education, however, came when she discovered what success really meant for her. After years of working long hours and endless weeks, battling burnout and exhaustion, Rubina decided to apply strategic thinking to her own life. Unwilling to choose between motherhood and career, she instead crafted a personal roadmap that allows her to live a life that prioritizes both income and impact, offering both comfort and meaning. Rubina calls this “living in your genius zone,” and today she helps clients achieve their own vision of success based upon the formula Practice + Play + Persevere.